This fruit salad with a pomegranate dressing is elegant enough to be served at any occasion, not just picnics and outdoor barbecues. Combine all the ingredients for the dressing in a bowl, season to taste with salt and pepper, and whisk until well mixed. 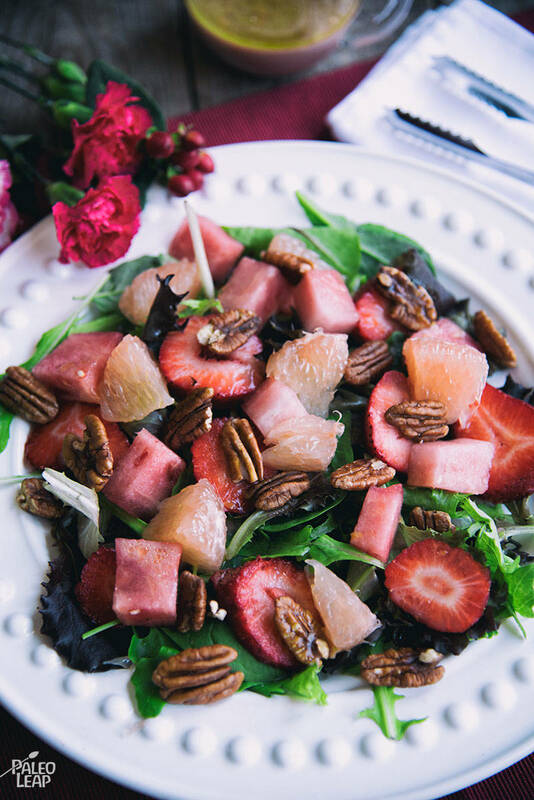 Place the mixed greens in a salad bowl and add the grapefruit, strawberries, and watermelon. Drizzle the salad with the dressing and top with walnuts.